PowerPoint files are wonderful to show content with image, text, video, and animations. However, there are some occasions when you need to view PowerPoint files on your PSP or smartphones. In such case, you need to convert PPTX to AVI or other videos. If you are hunting for a solution to convert PPTX to AVI or a PPTX to AVI converter app to do this, this place is where you should stop. You could get the best PPTX to AVI converter solutions here. Free PPTX to AVI Converter Online could help you easily convert PPTX to AVI online for free. This PPTX to AVI converter lets you convert PPTX to AVI in high quality. 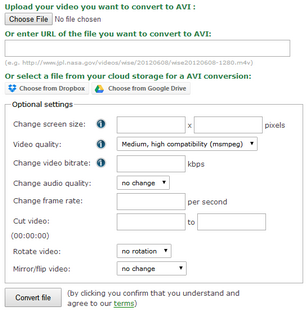 Provide a URL to a video or upload a video file and choose some optional settings to change the quality of the AVI video converter. 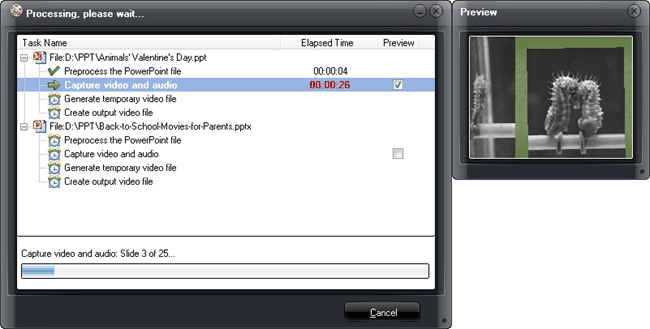 Hit the "Convert file" button and you can download the AVI video. 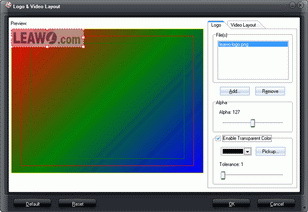 This converter to AVI video supports more than 50 source formats. Open this Free PPTX to AVI Converter Online via the link above. Click the "Choose File" button to browse and add PPTX files. You could also enter a URL of the PPTX file you want to convert to AVI, or select PPTX file from your cloud storage for a PPTX to AVI conversion. After adding source PPTX files, you could do the related settings in the "Optional settings" box, like the Screen Size (resolution), quality, bit rate, audio quality, frame rate, etc. If you don’t do these settings, this free online PPTX to AVI converter would automatically set for you. After setting, click the "Convert file" box to start converting PPTX to AVI file within this free PPTX to AVI converter online. You could then see the converting process. After converting, there would pop up a window to let you download converted PPTX file (now in AVI format) to your computer. After downloading, you could view the converted PPTX file on any AVI player as you like. It should be noted that with free PPTX to AVI converter online, you could only convert PPTX to AVI online free one by one. Also, it requires wonderful Internet connection. Sometimes, the online PPTX to AVI conversion is not stable. Different from free PPTX to AVI converter online to convert PPTX to AVI files online one by one, Leawo PowerPoint to Video Pro enables you to freely convert PPTX to AVI files in batch. 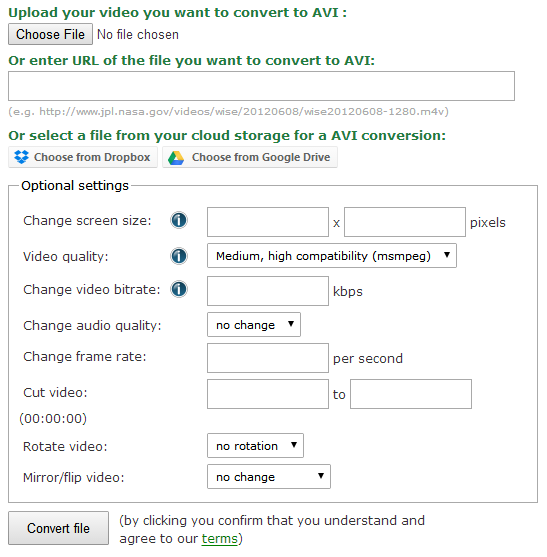 You could convert multiple PPTX files to AVI video formats at a time. Meanwhile, it could not only convert PPTX to AVI videos, but also convert PPTX to MP4, FLV, and other videos as you like. Meanwhile, Leawo PowerPoint to Video Pro could allow you to change output format according to target media player and device, edit PPTX files before converting, etc. Click the "Add" button to browse and add PPTX file(s) into this PPTX to AVI converter. You could add as many PPTX files as you like. Open the drop-down "Profile" box and then select AVI as output format from "Common Video" group. After that, click the "Output" box for setting output directory. 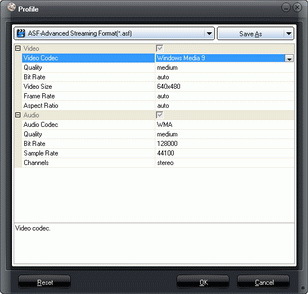 (Optional) According to you media player, click the "Settings" button next to the drop-down "Profile" box to adjust video codec, bit rate, video size, aspect ratio, frame rate, audio codec, channel, etc. Finally, click the "Convert" button at the bottom right corner. 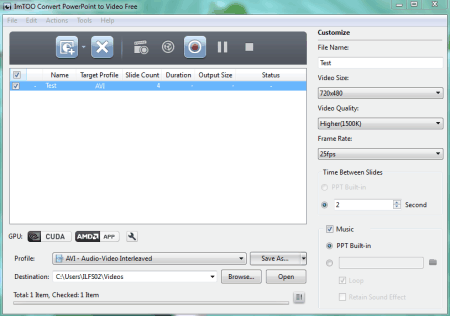 This PPTX to AVI converter would start to convert PPTX file to AVI video immediately. The below lists out 5 best PPTX to AVI converter software for you to choose to convert PPTX to AVI videos. 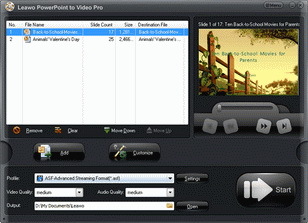 Leawo PowerPoint to Video Pro is a wonderful PowerPoint to video converter software that assists you in converting PowerPoint to video and HD video (including PowerPoint to MP4, PowerPoint to AVI, PowerPoint to WMV, PowerPoint to iPad, PowerPoint to iPhone, PowerPoint to iPad, PowerPoint to YouTube, PowerPoint to Facebook, etc.) So that you could view PowerPoint content on video-sharing websites like YouTube, Facebook and portable devices like iPad, iPod and iPhone, with all the animations, transitions, sounds and video clips in the source PowerPoint files retained. 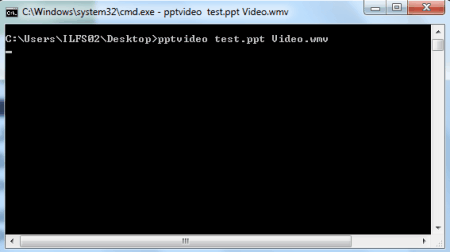 PowerPoint-To-Video is a very tiny (just 5.5 KB) command line utility to convert your PowerPoint presentations into WMV video format. To use it open the Command Prompt where you have download the executable. Type PPTVideo to start the process. 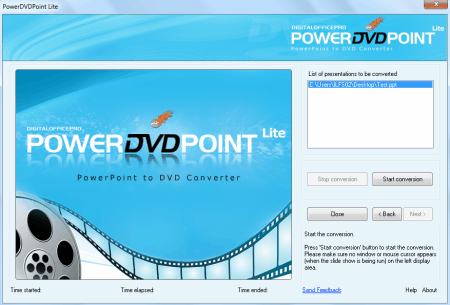 It will convert your PowerPoint file into WMV video file. 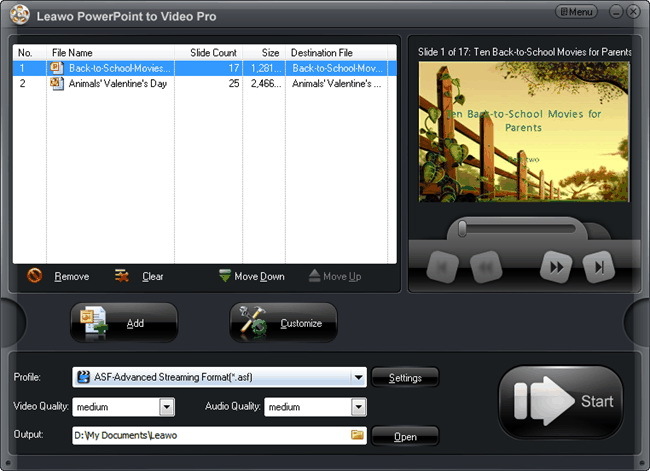 Supported input formats are PPT, PPTX, and ODP. ImTOO Convert PowerPoint to Video is a free and easy to use PPT to video creation software. 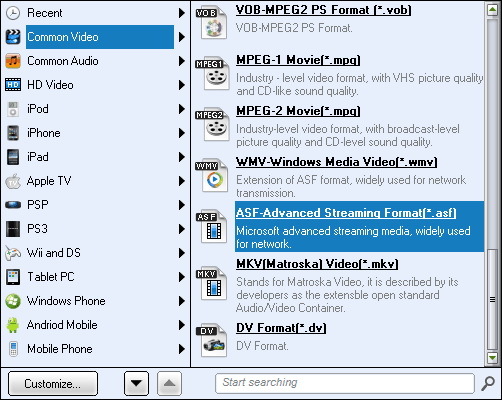 It lets you create video formats such as AVI, MPG, WMV, FLV, MOV etc. format from your PowerPoint files. You can easily adjust the video resolution, quality, frame rate and other parameters easily for your need. You can save the parameters in your own profile for later use. Supported input formats includes: PPT, PPTX, PPTM, PPS, PPSX, POT, POTX, POTM etc. Note: It does not support Office 2013 PowerPoint.